In the field of economics, for instance, I believe that the purpose of business is not to “get rich quick” but to perform an honest and useful service for our fellow human beings while earning a fair recompense to support ourselves and our loved ones. This is why Dividend Economics and a Basic Income Guarantee are such important concepts for me, because they show the way to provide everyone in the world with a decent living. Finally, I have always wanted to be part of a community of people who combine their inner search with service in the world, including political and social action. I have never felt comfortable among those who feel that spirituality places them “above” such endeavors. I feel it is noble to want to help the Earth become a better place to live for human beings and others of Mother Nature’s creation. Retirement from my career job gives me a lot more freedom than I used to have, so I have been engaged with friends in seeking a place in the Appalachian Mountains where such an endeavor might bear abundant fruit. In following this inner impulse, we are trying to “turn it over” to the Spirit to show the way. But we feel we are getting some hints about when and where to make the move. If this happens, there may be interest among the many people I have gotten to know through my writings, so we’ll keep you informed. Please stay tuned! Richard C. Cook is a former federal analyst, now a writer and consultant on public policy issues. 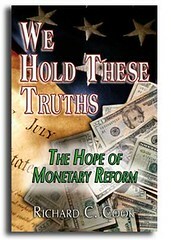 His new book is We Hold These Truths: the Hope of Monetary Reform. His website is www.richardccook.com. He recently made a series of six videos that will be available soon on Google and DVD. The title: Credit as a Public Utility: The Solution to the Economic Crisis. He will also be appearing in a new feature-length documentary Future for Sale directed by award-winning European filmmaker Maja Borg. 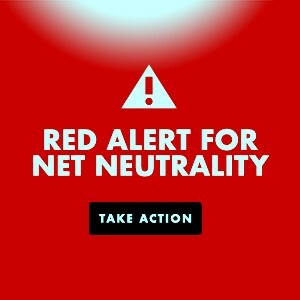 See http://futureblog.net/wordpress/. This entry was posted in All Posts News Politics and-or Videos, Dandelion Salad Featured Writers, Politics, Spiritual and tagged Cook-Richard C., Richard C. Cook. Bookmark the permalink. When spirituality, in any form or shape is pursued, it’s a special calling that, usually, leads to betterment and enlightenment of that person’s mind and soul. It’s a road that I believe we all, at some point in our lives, must attempt to explore with open mind and courage. If the premise we seek is based on respect for other forms of spirituality, other schools of thought, and that no one is closer to God than any other, and that we are equal in our virtue, goodness and closeness to God, or whatever Deity we choose, or even none at all, then two thirds of the road, in my opinion, has already been explored and learned from, the right way. Religious or spiritual choices are, and should be, mostly personal in nature, and should never be assumed to be the way that any others must adopt and follow to be right. We all have our journeys to take, worlds of thought to explore and Gods to ponder and consider, and at the end, none of them is all right or all wrong. History has taught us that it’s best to keep God as personal as possible, and keep him/her out of politics, economics and other people’s business. Let God stay God, and let’s not humanize him/her with what we think God should be or is like. The closer God of goodness and compassion is in the heart and far from our mundane affairs, the better things are for God and man. would be better served if you kept religion and politics separate.